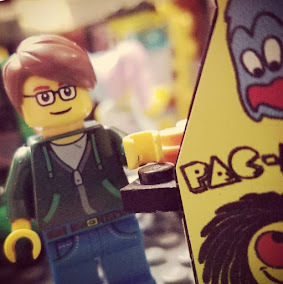 No pithy, Dave Berg-esque observational humor here, just a quick note to say that the blogging itself will be lighter the next few weeks due to a temporary, pre-fall semester schedule change that will let me live like a normal person for a change. I plan to enjoy it. 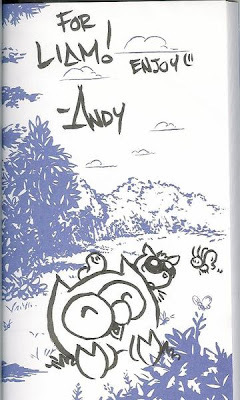 Owly and Wormy (and a few other friends), drawn for my son Liam by creator Andy Runton on the inside of the Owly: Flying Lessons trade paperback (Liam's official first comic book) at Wizard World Chicago 2006. Figured I should start the boy off right.